Guy Maddin. Here's the thing. If there's an alternate universe where the sound in movies and color never really took off as a concept and people kept making it, but also magic, Guy Maddin to me feels like he comes from that. And I want to live in this world in his brain for just a day because it feels like a great place to be. Guy Maddin is a Canadian filmmaker. Is he one of the greatest? Probably. A few years ago, he was commissioned to make a documentary. 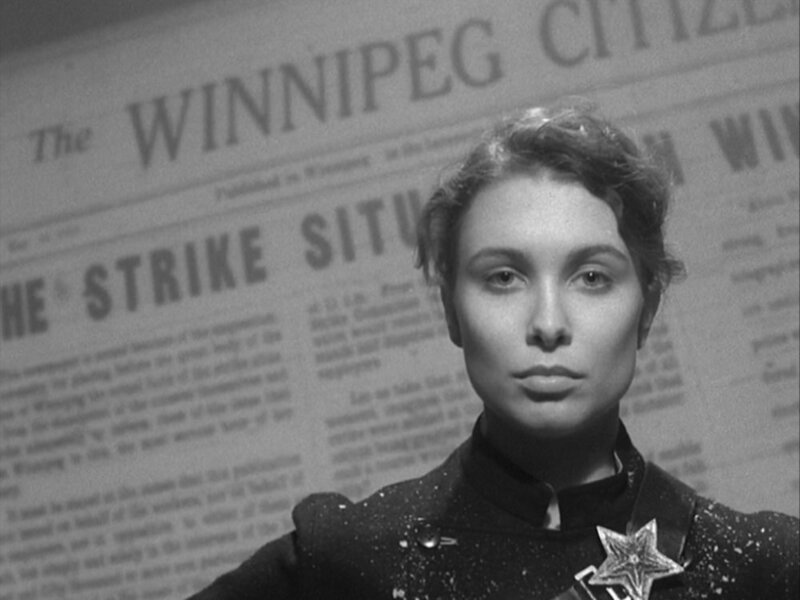 He proposed making a documentary about Winnipeg for television, but Guy Maddin being Guy Maddin said, "Eh, sure. Let's make a documentary." It's sort of a documentary. It opens up with Guy Maddin being played by the guy, who for the longest time I was convinced was the guy who played Rodney McKay but I guess not. He's played by Darcy Fehr, and we go through his childhood, and he fails once again to leave Winnipeg. So he decides he has to go back through his childhood and make it as a film to figure out what is keeping him here, and thus begins the meta textual re-look into his life as Winnipeg, and we learn the history of this fair city. Let's give it up to this movie. Maddin is commissioned by the documentary channel to make a movie celebrating Winnipeg, and I think he did it. I had no idea of what a weird, almost mythical place Winnipeg truly was. I'm currently on the trip of a lifetime right now, and at some point I'm probably going to be passing through Winnipeg, and I think I'll actually go there because of this movie. So I think that's a successful way of doing it, man. We learn all about the ins and outs and eccentricities of Winnipeg. Did you know that Winnipeg is the world capital of sleepwalkers, because everybody sleepwalks? Their childhood homes, they must leave the doors unlocked for these wanderers. I didn't know that or that there's mythical rivers that run underneath Winnipeg. In a way, this central town seems to be forgotten, the last remaining key to the world's mythical past in a lot of ways, and if that's true, I want that to be true. I think that appeals to me. This feels partly like a travel guide from an alternative universe, and I love that stuff. I think this appeals to me in the same off way that things like Hitchhiker's Guide to the Galaxy appealed to me, because you take this utterly boring format, the travel guide, the travel documentary designed to boringly propagate a city's virtues like, "Oh, boy, there's a certain artist, famous people, and did you know we have a steel mill?" and turned it into this insane idea that in a way tells more about the real city than those bland, oversimplifying travel documentaries could ever do. Because Winnipeg, to be totally pedantic, is an idea, man, and that's just great. I love this. I love this, and it reminds me of, I don't know, I see parts of my life being reflected in everything I see, and right now I'm on this trip of a lifetime, whatever. It will last a good deal of time. It'll be for a while. I'm from an equally boring place or a place that nobody really cares about, Houston. Houston's only notable accomplishment is it's near Austin, which is mean, but society-wise, that's all people care about. There's a lot inside me that just wants out of Houston, but you're drawn to it in a lot of ways, and that feels very true. You constantly try to think about it and re-contextualize it, and was this a great place or was it just there? Maybe the version of Houston that I want it to be doesn't exist, except in that far-off part of the edge of reality, and maybe that's what Winnipeg is. Or maybe Winnipeg is the greatest, saddest city in the world, full of the saddest songs. Maybe it's a beautiful place. If you want to see the journey through the past or have a very surprisingly funny movie, let's get this out of the way - I didn't compare it to Hitchhiker's Guide to the Galaxy because of the traveling thing. The humor is already incomparable. This is the place to be, man.